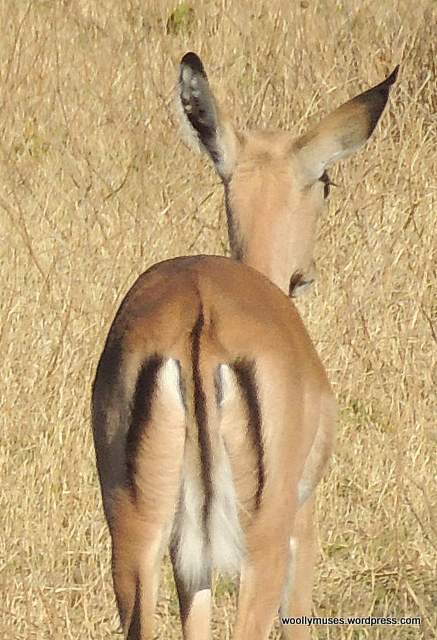 make dreaming of nice rounded Impala rumps a pleasure. This entry was posted in Africa, Kruger National Park, Photography, Postaday, PostaWeek, South Africa, Travel, Travel Theme, Victoria and tagged Digital photography, flowers, nikon d90, postaday, Travel, Travel Theme. Bookmark the permalink. oh no. the cycle of life I suppose. Great photos. 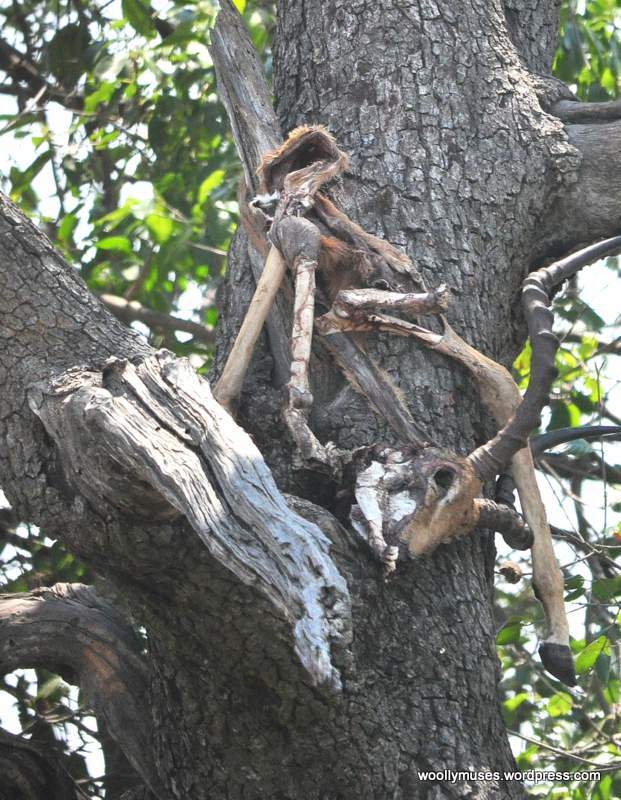 Nice quite sure about the bones in the tree though. Thank you. I guess it’s the circle of life in the wild. I’m fairly sure that was the thoughts in the leopard’s mind. Yes I think so too !!! 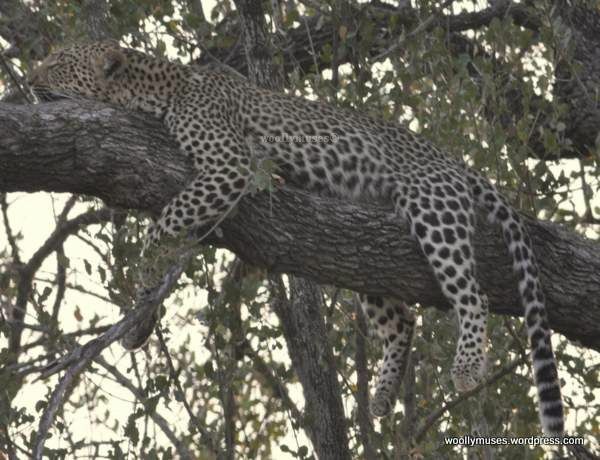 If we had to return home, I would have been happy after sighting that leopard…and it was only our third day. As the song says…’…that’s life…’ I am sure you would feel worse if you saw crows picks the eyes out of new born lambs or sheep which have become cast due to illness or weight. THAT used to really bug me as it was a wasted life. Wow! Very striking, and perfect for the theme!